ThompsonGas promoted Jim Davis to COO. 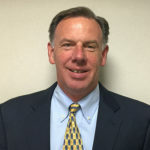 Davis, who joined the company in May 2018 from Energy Distribution Partners, previously served as ThompsonGas’ senior vice president of operations. Davis has more than 20 years of experience in operations and sales leadership.